Do you have both anger and depression--or just one and not the other? Like many people, you might not know for sure. You might be angry and not know it, and you can also be depressed and not know it. In some ways, anger and depression are opposite of each other. When you're depressed you often feel bad about yourself, and when you're angry you're blaming others. When you're angry, you are ready to move or do something about your situation--even if it's not a good thing to do at all! When you're depressed, you've probably given up on doing anything. Depression is a kind of shut-down mode, and usually means not doing anything. Depression often feels hopeless, and getting angry can be a step in the right direction. If you're depressed and get angry, it might motivate you to do something--as a matter of fact, healthy anger can produce healthy action! 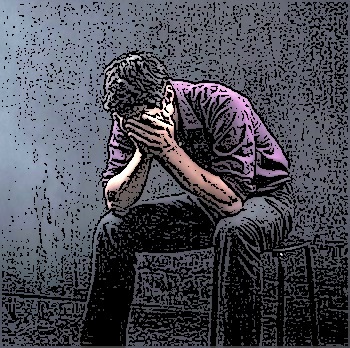 If you're not sure whether you have issues with depression or anger, you can take the anger test or the depression test--you'll find those under "Free Tools" at the top of this page. 1. What is Healthy Anger? Are you or someone you know living with depression? Are you looking for an alternative to medication, or perhaps something to complement your medication? 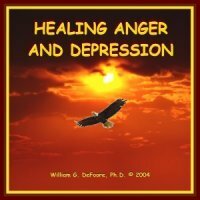 The Healing Anger and Depression program is anger management CDs/downloads that will show you how to heal the emotions that may be causing your depression. Take advantage of our 100% money-back guarantee and get your copy today! You will breathe a sigh of relief as you begin to understand what's going on. You will feel better about yourself when you know how your emotions work. You will learn to manage your mood and stay in a good one more of the time. You can improve your communication skills and help your marriage, as well as your relationships with your children and other family members. When you learn that anger is not bad and how you can make it work for you, you will be excited! When you use the tools in this program, you will master anger and depression so that they no longer are a problem for you. You'll discover how to find the depth and meaning in your personal story, and how storytelling can help you heal yourself and your relationships. Finally, when you use this information and these skills, you will gain the greatest personal asset of all--you will learn to love yourself. These depression warning signs are often a result of unexpressed anger, bringing us back to the relationship between anger and depression. As you can see, these symptoms of depression are all about not doing things or not wanting to do things. When anger gets expressed and activated, it motivates you to do things! Remember,you've got what it takes to overcome anger and depression problems. Learn about all of the anger management resource help available on this site, as well as the other anger management audio programs and anger management books to help you with deal with your anger and depression as well as a variety of other issues. To go even deeper into this topic, read this professional research article showing the relationship between depression and feelings of anger.